Well then you're brainwashed, too. Clare: Let me go under, Peter. I don't want to be here anymore. Peter: I'm not going to do that. Clare: Well then you're brainwashed, too. 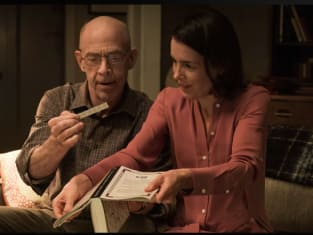 Counterpart Season 2 Episode 8: "In from the Cold"
It's all for the greater good. Permalink: It's all for the greater good. Truth doesn't need to be indoctrinated. Permalink: Truth doesn't need to be indoctrinated.